يقع فندق Alcala Motor Lodge Dunedin، المصمم ليناسب كل الضيوف سواء كانوا من رجال الأعمال أو السياح، في مكان ممتاز في أحد أكثر المناطق تفضيلاً في هذه المنطقة. يمكن من هنا للضيوف الاستمتاع بسهولة الوصول إلى كل ما تقدمه هذه المدينة النابضة بالحياة. يقع هذا الفندق الحديث على مسافة قريبة من المعالم السياحية الشهيرة. يعمل Alcala Motor Lodge Dunedin على ضمان إقامة مريحة لضيوفه من خلال خدماته الممتازة وحسن ضيافته. يمكن لضيوف الفندق الاستمتاع بالميزات التالية على أرض الفندق: واي فاي مجاني في جميع الغرف, واي فاي في المناطق العامة, صف السيارات, خدمة الغرف, رعاية أطفال. تتضمن كل غرف النزلاء وسائل الراحة والتسلية المصممة خصيصاً لضمان الراحة القصوى للضيوف. كما أن مجموعة الخدمات الواسعة الموجودة في الفندق لضمان راحتك تترك لك الكثير من الخيارات لقضاء وقتك أثناء فترة إقامتك. 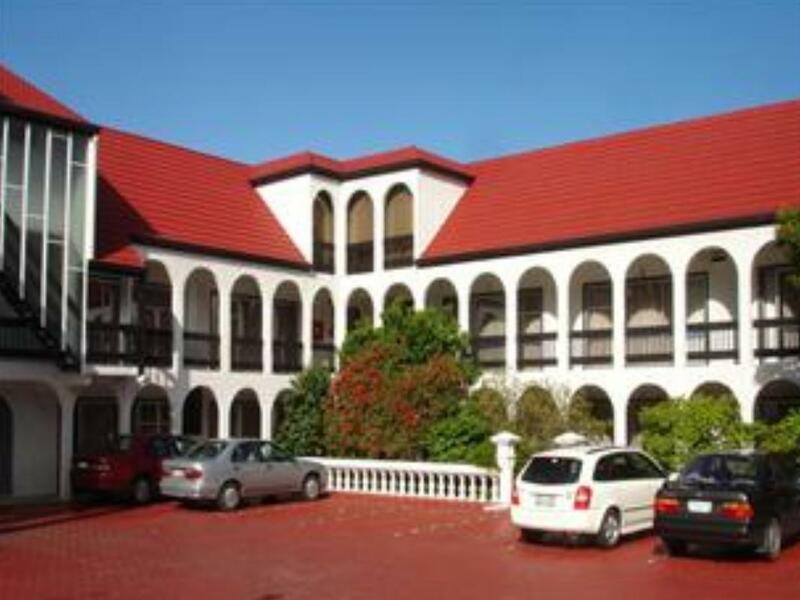 استمتع بخدمات لا يعلى عليها وعنوان ذو اعتبار في Alcala Motor Lodge Dunedin . Big room comfortable bed convenience store across the road short walk to shops and restaurants. We were on the top floor so if you have alot of luggage or big heavy bags this is not for you as there is no elevator. It's hard to get a wifi signal on the top floor so use your own data is easier. Really enjoyed our stay in Dunedin. Alcala was an excellent place for our family and we really appreciated the space and the free laundry facilities! The location and facilities worked great for us. The location of the motel is their main strength. It situated right in the city and within walking distance to restaurants and major attractions. The furnishing is a little old and the set up of the room is open concept. Staff is helpful. It was so-so, okay for the price I guess. The fixtures and carpet in the motel is due for a change. They are old and tired looking. The shower know is also a bit of a challenge to work. Unlikely that I would stay there again as the Reception did not even make us feel welcomed. It was very transactional. Cut and dry. We stayed here on a previous trip, & will stay here again if passing through Dunedin. The layout of the room was well thought out with doors to close off the kitchen from the living room area. The whole area was spacious. Have a good short stay! nice room! ease of access located in the city centre! Good space inside for sitting and eating and well stocked kitchen. Friendly cleaning staff. Walking distance from shops. The unit had some problem with the sounds of hot water being used at the unit below. Whenever they ran their hot water there was a loud sound in our bathroom that left me thinking that we had the toilet still flushing. The tv from the next door unit was also plainly heard through the wall. This could be fixed easily by placing the tv under the stairs or in any other position that wasn't against the wall of the next unit. Otherwise a simple sound proof panel could be placed behind the tv. The Alcala has student flats all around it and there were noisy parties till 2am both nights we stayed there. The stairs to where the children slept were very unsafe , The unit appears very dated. We would never stay here again. We did not dine here so can't make comment about the food.The unit was very clean. Overall satisfaction is good. We have a group of 5 stay 2 nights at this hotel. Room size is average for 5, not too big but also not too small. The kitchen is little bit smaller, no freezer in the unit. However the staff is very helpful and help to keep our frozen food in their store freezer. The hotel also provide laundry and clothes dryer with no charge! The hotel is not the best but it is still above average and overall is good and satisfied us in experience. it is beyond our expectation. The location is right in the centtre of the city. We are very happy and glad that we choose this hotel. It is dated and worn with older mattress but has all you need: a good wee kitchen, ironing board, hair dryer etc. And is within walking distance of the city center. Excellent location, great staff and a comfortable bed! This is a great motel giving real value for the price. I have stayed there whenever I'm in Dunedin and have done so since the 1970's. The fact that I've gone back there, time after time says it all.